A reader sent in a request for some outfit suggestions for an upcoming NYC trip. She will be shopping/sightseeing as well as taking in a Broadway show while she is there. She told me if she had to chose a celebrity that had similar style, she would pick Katie Holmes, so I used Katie as inspiration for these outfits. 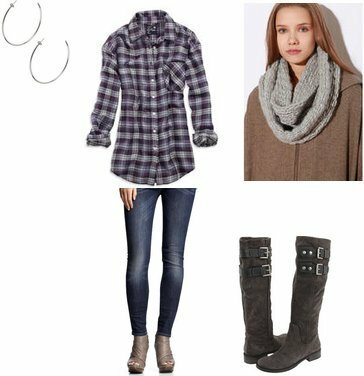 The first three looks are the suggestions I had for sightseeing/shopping, and the fourth outfit is my suggestion for the Broadway show. Click on any photo for more information on the items pictured!